We live in Lower Franconia on the edge of the “Spessartwood” in a quiet and pleasant village called Rettersheim which belongs to the municipality of Triefenstein. Rettersheim is located on the A3 motorway between Würzburg (ca. 35 miles) and Frankfurt (ca. 90 miles). Our family consist of our little son Leonard, my husband and me, including our charming dogs with which we share our whole house, the garden and our whole life. I have always lived with dogs, small black poodles, at my parents home, therefore I loved dogs from the beginning of my life also living with them. When I meet my husband and moved with him to our home, I quickly realized that I was missing something…..a dog! I was looking for a small family dog with a lovable character. It was also important that the dog loses only little hairs, as I knew it from the poodles. In my search I have found the breed “Coton de Tulear” and from this moment on I fell in love with this small white cotton balls with the black noses and eyes. 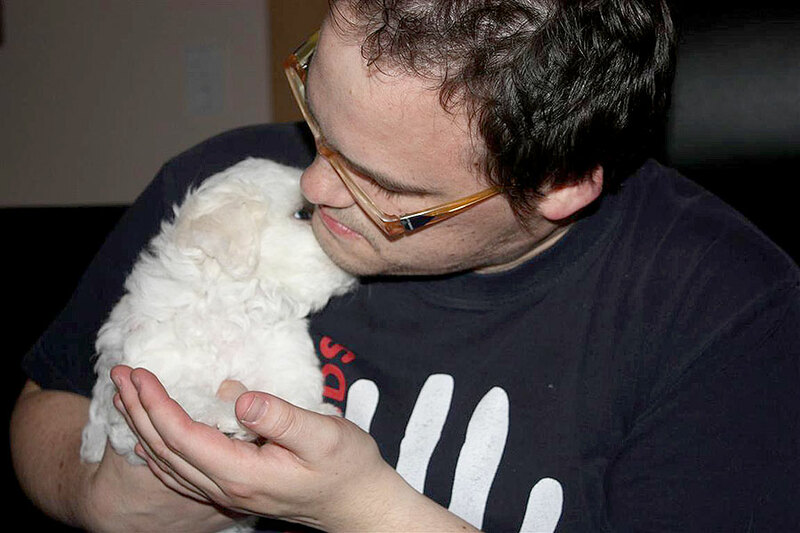 My husband quickly shared my love to the Coton`s with me and in 2008 I decided to breed this wonderful little dogs. 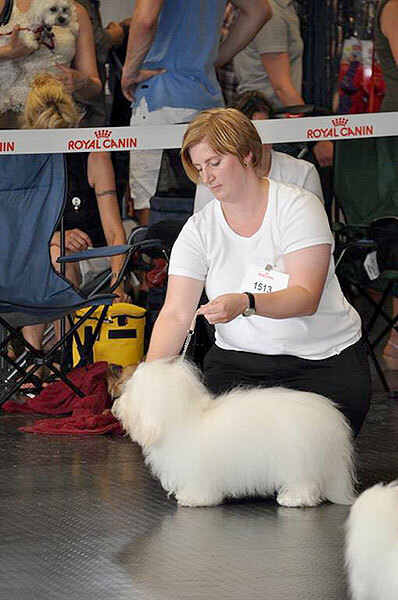 Since this time I`m member of the Coton de Tulear Verein e.V. which belongs to the VDH (Federation of the German Kennel), this is a member of the FCI (Federation Cynologique Internationale) and my Kennel “Cotonfeeling” was internationally protected. 2009 was born our little son Leonard and he contributes a lot on his own way with the socialization of the puppies. He plays a lot with them and is always cuddling and snuggling them. 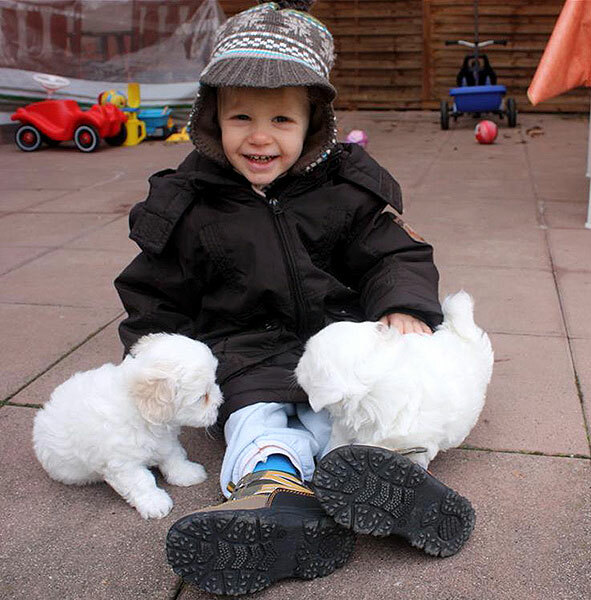 In this way, the puppies learn early to know children`s hands, a important thing for a family dog. My goal is to contribute the development of this lovely breed but at the same time preserving the originality of this breed, in my mind this is very important. We should always remember where the Coton de Tulear comes from, how they looked like originally, why they looked like so and why this race is actually there. It also makes us a lot of fun to show our dogs at national and international exhibitions here in Germany and also in other countries. It`s always a nice atmosphere and a great pleasant to meet other Coton-Enthusiasts from different countries with their wonderful dogs.